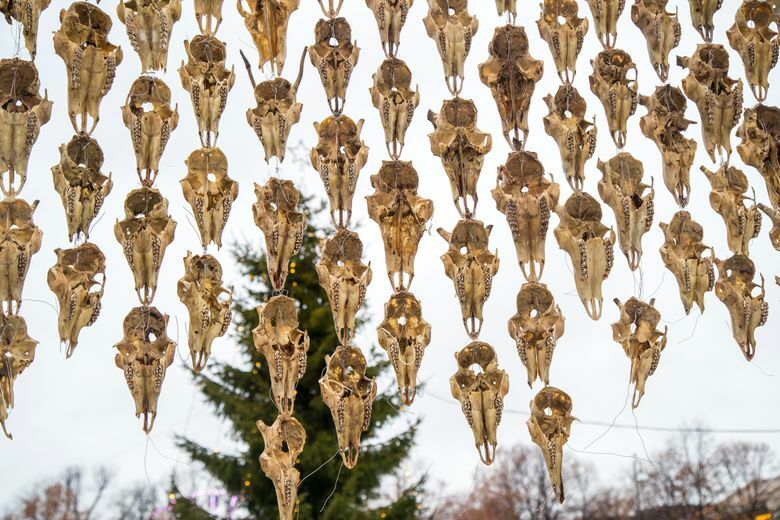 COPENHAGEN, Denmark (AP) — An artist from the indigenous Sami community in Norway’s Arctic region is drawing attention to the country’s policy of culling its reindeer population. 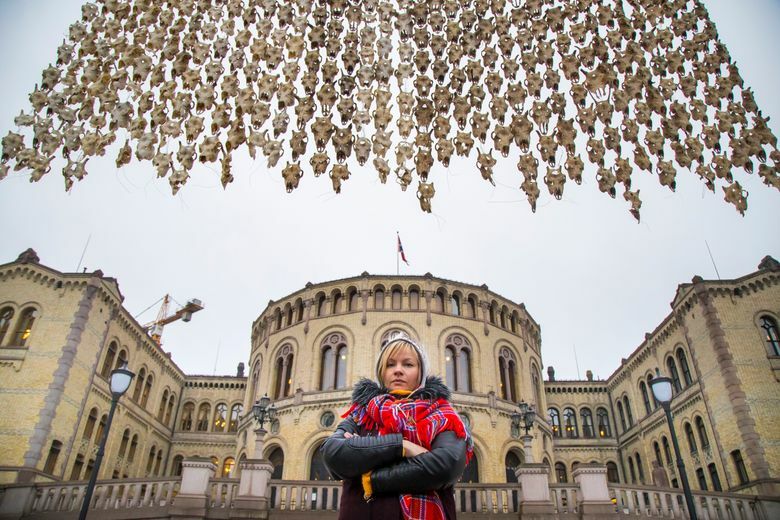 In a display outside the country’s parliament in Oslo, Maret Anne Sara has hung a curtain made of 400 bullet-ridden reindeer skulls. She told Norwegian broadcaster NRK on Wednesday that the government’s reindeer-reduction policy is “totally wrong and unfair.” She was not immediately available for comment Thursday. The policy aims to prevent overgrazing on the tundra where Norway’s estimated reindeer population of 220,000 live. She is supporting her brother, Jovsset Ante Sara, who has twice successfully legally challenged an order for him to kill 41 of his 116 reindeer. He said he can’t make a living with that scale of slaughter.